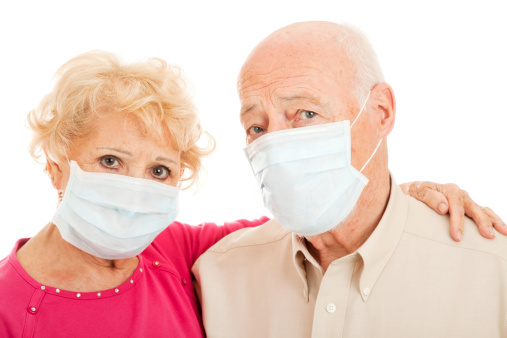 Home » General Health » Is MERS the New SARS? Is MERS the New SARS? Middle East respiratory syndrome (MERS) is a disease that is increasingly becoming a worldwide concern. As of June 8, 2015, the World Health Organization (WHO) has confirmed 400 deaths in 25 countries since MERS was first discovered in 2012. It’s worth it to note that only two people have tested positive for MERS in the U.S.
Saudi Arabia is the most affected country, but new cases are popping up daily across South Korea. It has gotten to the point where, in some countries, schools are being closed; people are even commuting to and from work wearing face masks and mandatory quarantines are being implemented. What Is MERS? Is It Similar to SARS? MERS is a coronavirus—it comes from the same family as the common cold and SARS (severe acute respiratory syndrome). When SARS surfaced, it spread rapidly. It affected over 8,000 people in 2003, while killing 773 worldwide—MERS has not spread that easily or killed that many. MERS poses as the common cold and immediately attacks the body’s respiratory system. Patients generally experience common cold symptoms, such as a fever or cough, but symptoms can worsen over time and lead to pneumonia, kidney failure, or death. MERS is believed to spread from an infected patient’s respiratory secretions (i.e. through coughing or sneezing). Being in close contact with someone infected with MERS can cause spreading; this includes caring for an infected patient, which is one reason why MERS thrives in hospitals. MERS cases have all been linked to countries near the Arabian Peninsula. The majority of infected patients have either lived in or traveled from the Peninsula before being diagnosed with MERS. Some people have become infected after being in close contact with an infected person who traveled from the Peninsula. • Camels are linked to the MERS chain: In February 2015, scientists reported that almost three-quarters of camels living in Saudi Arabia tested positive for MERS exposure. MERS can be found in Arabian camels in the Middle East, which can make these camels sick. When people constantly come in contact with a sick animal (or even drink its milk) they can catch the virus. • Possible seasonal pattern: The majority of cases of MERS that have been reported this year occurred in the springtime, similar to the cases reported last year. Researchers have not concluded as yet if there is a pattern. • No treatments and no vaccine: MERS symptoms can be treated, but unfortunately, there is no vaccine to protect against it as yet. Health officials have come to the general consensus that people around the world do not need to be overly worried. Dr. Stanley Perlman, one of the authors of a MERS review published in the June 2015 issue of the journal The Lancet, stated that he does not believe the disease is “very contagious”—although he understands the fear factor. Think about it this way: a person infected with MERS is estimated to infect less than one other person. Compare this to the measles, where an infected patient could likely spread the disease to 15 other people; or the Ebola virus, where the infected could spread the disease to two other people! Wash your hands with soap and water for at least 20 seconds. Use an alcohol-based sanitizer if water is not at your disposal. Using a tissue, cover your mouth when you cough or sneeze. If you have not sanitized your hands, avoid touching your eyes, nose, and mouth—these are common ways for a virus to enter the body. Avoid personal contact (i.e. kissing, sharing utensils) with a sick individual. For now, MERS is not contagious enough to cause a global panic—but we should still be alert of its symptoms and take precautions to help prevent the spread of the virus. Park, M., “Should you be worried about MERS?” CNN web site, June 10, 2015; http://www.cnn.com/2015/06/09/health/mers-south-korea-explainer/index.html. Beaubien, J., “Why MERS Is Likely To Crop Up Outside The Middle East Again,” NPR web site, June 14, 2015; http://www.npr.org/sections/goatsandsoda/2015/06/14/413918578/why-mers-will-likely-crop-up-outside-the-middle-east-again.